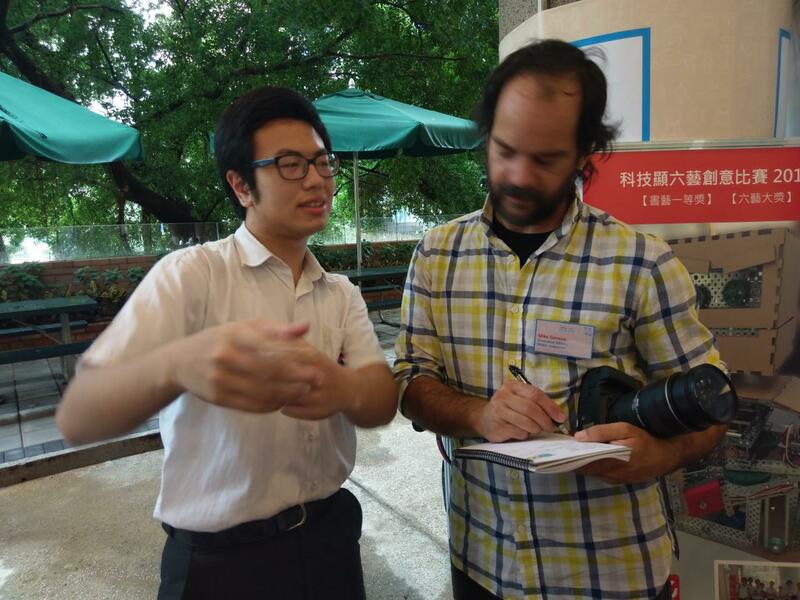 The "Maker Faire Hong Kong 2018 x Make Big", held on 7/7 and 7/8 at PolyU, is a big event for all Hong Kong Makers. It aims at promoting “Maker Culture” to the general public, demonstrating creativity, inventiveness and resourcefulnes. 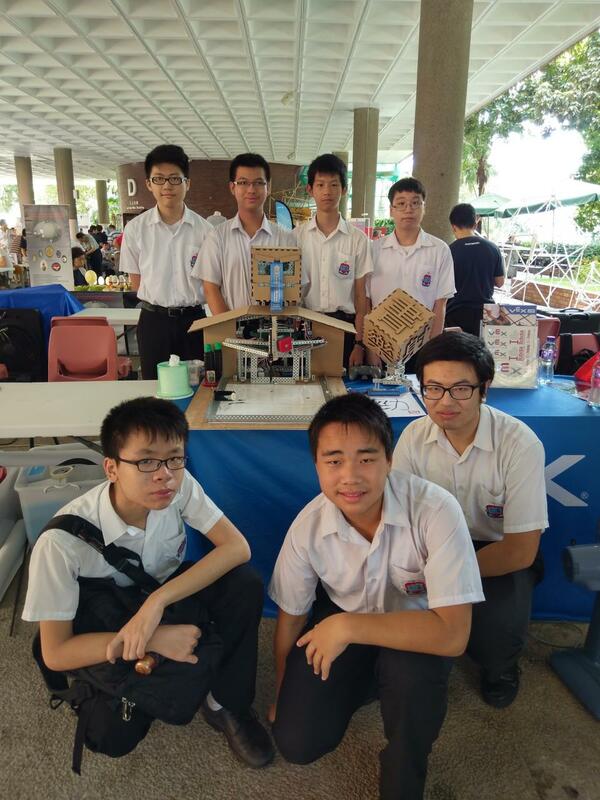 Our robotics team was very lucky to be invited to take part in this event to showcase our calligraphy robot - Kowloon Emperor 2.0. Our robot was awarded the "First prize in Calligraphy Art (Secondary Section)" and the "Overall champion" in the "Six Arts Competition" organized by the CINTEC. We were interviewed by the Make Magazine. 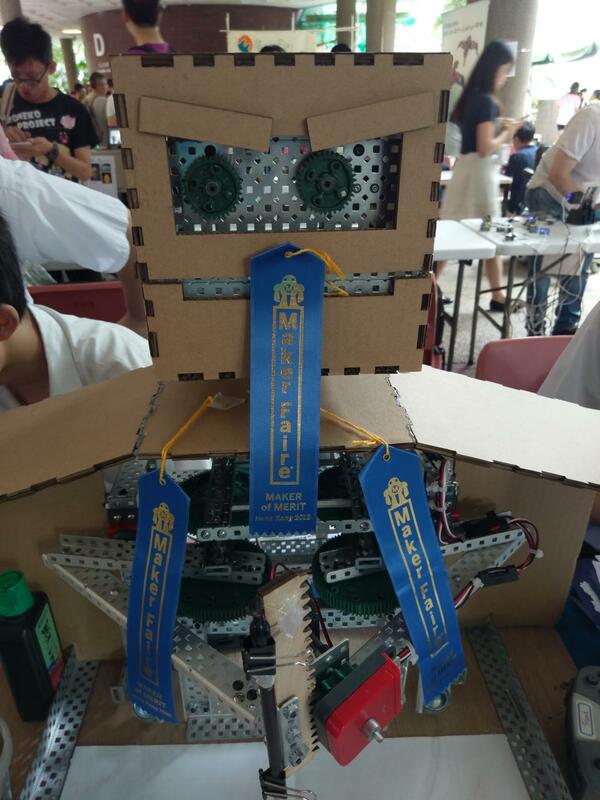 Our Kowloon Emperor 2.0 was awarded the "Maker of Merit" three times.